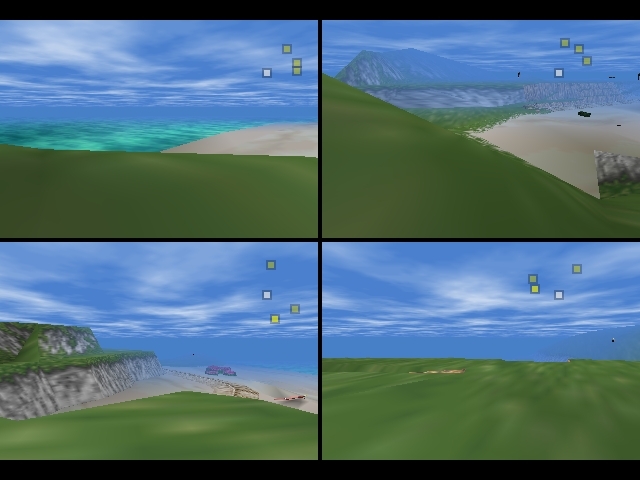 Pokemon Snap Beach level ripped from the game, and imported into GoldenEye multiplayer. Note that the texture size had to be halved in many cases, as images were too big and it was going to take a while to disable mipmapping on the appropriate triangles, since there were quite a lot. Also, due to difficulty in cutting the level, it is only one room, though it appears to work 2P-4P (at least 2P confirmed console). The rip wasn't perfect that I made, so I had to manually adjust the uv scale of some textures.